Kees Boeke was born in Amsterdam. After studying at the Royal Conservatory in The Hague (recorder with Frans Brüggen and cello with Anner Bijlsma), from which he graduated with honors, he founded the ensemble Quadro Hotteterre (1968-1988). He was for many years a member of the medieval and Renaissance Ensemble Syntagma Musicum (Kees Otten) and co-founder of Sour Cream (1972), Little Consort Amsterdam (1978) and the Ensemble Mala Punica (1989). In 2001 he formed the medieval ensemble Tetraktys. In 1970 Kees Boeke began teaching at the Royal Conservatory in The Hague and in 1975 at the Sweelinck Conservatorium in Amsterdam. 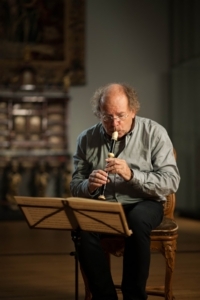 Since 1990 he has taught recorder and Early Music at the University of Music and Theatre in Zurich and the Hochschule für Musik in Trossingen, Germany. From 2006 to 2014 he was professor of Medieval and Renaissance music at the Institute of Ancient Music in Trossingen. He has held seminars and master classes for recorder and early music all over the world, among which the Deller Academy (Lacoste, France, 1972-1982), the International Early Music Courses (Urbino, Italy, from 1975 to 1982), and the Festival of Early Music Vancouver. He was responsible as artistic director for the Settimana Musicale di Pitigliano (1982-1986), as well as the International Courses of Early Music San Floriano (Polcenigo, Italy, 1983-1993). Kees Boeke has recorded more than 70 records and CDs for Teldec, Das Alte Werk, EMI, RCA, New Age, Channel Classics, Arcana, Symphonia, Attacca, Erato, Philips, Stradivarius, Glossa, Mirare and his own label Olive Music, for which he has produced 30 CDs. In addition, Kees Boeke is active as a composer (Donemus, Amsterdam, Sheetmusicnow.com) and editor of early and contemporary music (Zen-On, Tokyo, Schott, London). Currently he is preparing a new complete edition of the famous Codex Modena together with Jos Haring, which will be published as an Olive Music Publication. In 2003, he started his CD label Olive Music (www.o-livemusic.com), along with his wife, singer Jill Feldman. In addition, the two founded the ensemble “Tetraktys” for medieval music. The Tetraktys programs include medieval and early renaissance repertoire from the Tuscan Trecento, chansons by Dufay and contemporaries, the Squarcialupi Codex, the complete recording of the Chantilly Codex, works by Ciconia, sacred and secular works by Matteo da Perugia, the song book of Johannes Heer etc. Since 1980 he lives in Tuscany and is a producer of extra virgin olive oil. Youichi Hembo moved to Europe after he graduated from the University of Tsukuba. He studied first at the Escola Superior de Música de Catalunya (Catalonia College of Music) in Barcelona and subsequently received a scholarship from the Swiss government to undertake post-graduate studies at the Zürcher Hochschule der Künste (Zurich University of the Arts), from which he received his diploma and graduated with first class honors. He studied the recorder with Akimasa Mukae, Pedro Memelsdorff, and Kees Boeke, and undertook vocal training with Francesc Garrigosa and Jill Feldman. In 2009 he performed the Vivaldi Concerto in A minor for sopranino recorder in with members of the Kiev based National Philharmonic Society of Ukraine. 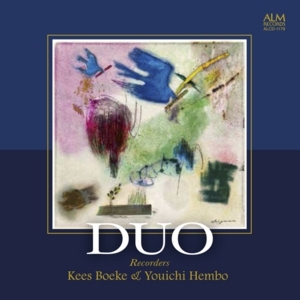 In addition to giving recitals all over Japan, in recent years Youichi has pursued an active career giving duo concerts with Kees Boeke and performing with the period-instrument ensemble Contraponto. In 2015 he released his first solo album “La pazzia, il dolore e la goia” (ALM Records, ALCD-1154). Youichi is very proactive in nurturing the next generation of performers. Every year he runs the Tsukuba Recorder Training Camp, most of the participants of which are university students, and regularly presents his “basic techniques which are very rarely taught to recorder players” course at the Origo et Practica Early Music Workshop. 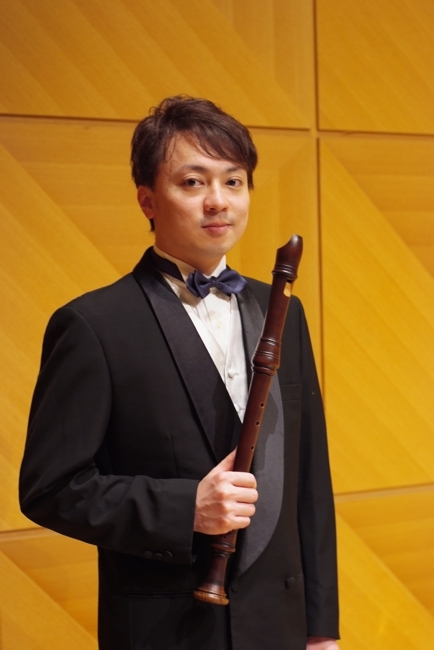 He took part in the 10th and 20th Ibaraki no Meishu Meikashu-tachi (Excellent Artists and Singers of Ibaraki) music festival, and runs the Nakal Recorder School. He teaches at the Music of Heart (Mito) and Azabu Music Place music schools, and is also a part-time teacher at the Meikei High School and Tsukuba International School.